You know it’s time. You’ve been anticipating this conversation for weeks now. The meeting’s on the calendar, and there’s no backing out now—not that you’d want to. No, you want this raise. You deserve this. You’re ready for this. Deep breath. Your boss isn’t going to bite. Or will she? Not if you’re as prepared as possible, as confident as can be, and as accomplished in your role as anyone deserving of a raise ought to be. Still, it’s not unusual to feel nervous and anxious about the prospect. Even if you’re uber-prepared, perfectly confident, and thoroughly self-aware of how your achievements have helped the company, it’s downright daunting. I reached out to 10 career coaches to get their very best advice on conquering this conversation. When you want a raise, frame it in a way that benefits the company, not you. This’ll show that you value the competitiveness of the company more than your personal gain. Think of a particularly confident and powerful role model. Channel that person—in your posture, tone of voice, and word choice—as you prepare for the meeting. The assurance you demonstrate in your body language is as important as what words you use. You want to show how your achievements have helped the organization on its path to succeed. Did your research help the company expand into a new marketplace? Did a project you led increase your team's efficiency? Did your work help to deepen customer loyalty or enhance internal communication? Having critical data like this will add credibility to your request and give you the necessary support you need to make your case. One slightly unusual yet fun way to get over your anxiety of asking for a raise is to develop a persona or alter ego. Imagine how you would act if you were able to put all of your fears and inhibitions aside in a salary conversation with your boss: How would you carry yourself? What would you say? You can also think about how your favorite career hero or mentor might approach asking for a raise. What would this successful person do or say in a similarly difficult conversation? 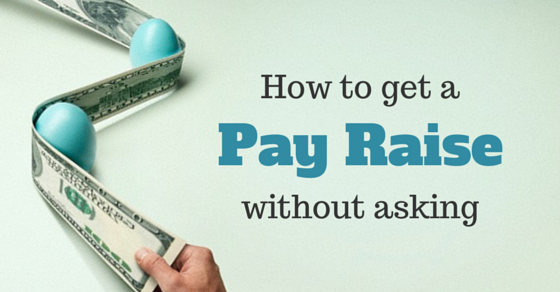 The best way to ask for a raise is to validate your request with support based on the market. That means talking to people who’ve done your job at similar companies, people who hire for your role, or even colleagues who you’re close with. It’s the best way to know what the market rate is for your role and to ask for it with confidence. Identify every possible objection that could possibly be raised by your manager, then devise responses that eliminate them. This means reviewing past performance evaluations and making sure that any concern or issue has been fixed or remedied. This means knowing the salary range of people in similar positions across your industry so you can ask for what you deserve. This means not putting your head down and sulking if your raise is denied. It means directly asking what would need to happen in the next three to six months for you to get the raise. Once you know, do exactly what you’re told, get results, and them hold them accountable. When walking into your meeting, don't bring in subjective, emotional reasons you deserve a raise. Instead, come forward with measurable results. Think about the dollars, the percentages, and the numbers you have either saved or made for the company. Think about what your measurable performance goals are—how did you stack up? Lay it out there! Finally, avoid saying, “I think.” Infuse your reasons with confidence and get used to the phrase, “I know,” which is far more powerful. Take some time to walk through the work you’ve achieved on behalf of the company and what impact it’s had. The more results and data focused, the better. If you’ve reduced time-to-hire, that’s money you’ve saved the organization. If you’ve increased followers on social media, that’s another big win worth noting. Arm yourself with information and remind yourself of how badass you truly are. It makes having these conversations a lot easier to give yourself that confidence boost. Preparation is the best way to calm your nerves and help you feel pumped up when asking for a raise. In order to do this you’ll need to have a clear understanding of what you ‘deserve’ not what you ‘need’ or would like. Come with the understanding of the value you bring above and beyond the role so that you’ll be able to communicate why exactly you deserve more money.